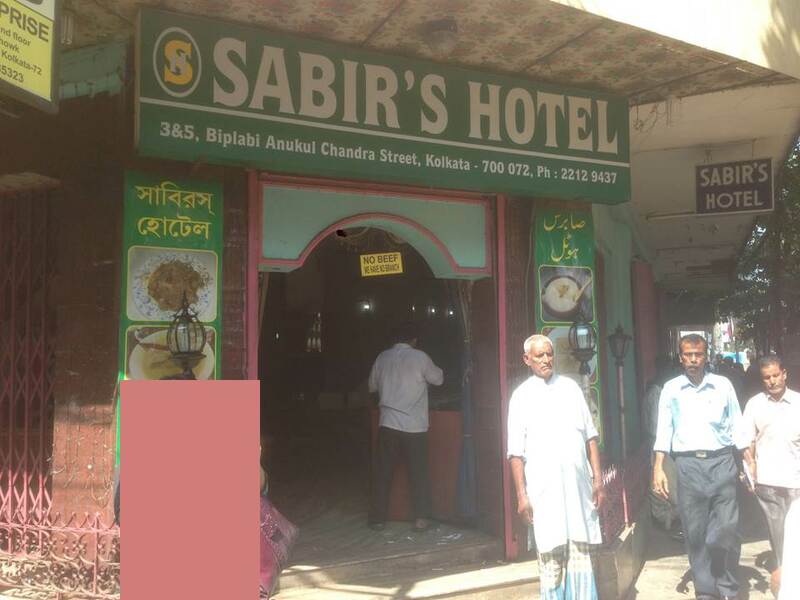 Legendary Kolkata restaurant with a typical Mughlai restaurant look & feel, average to good food. The Glorious past seems to b just a memory. 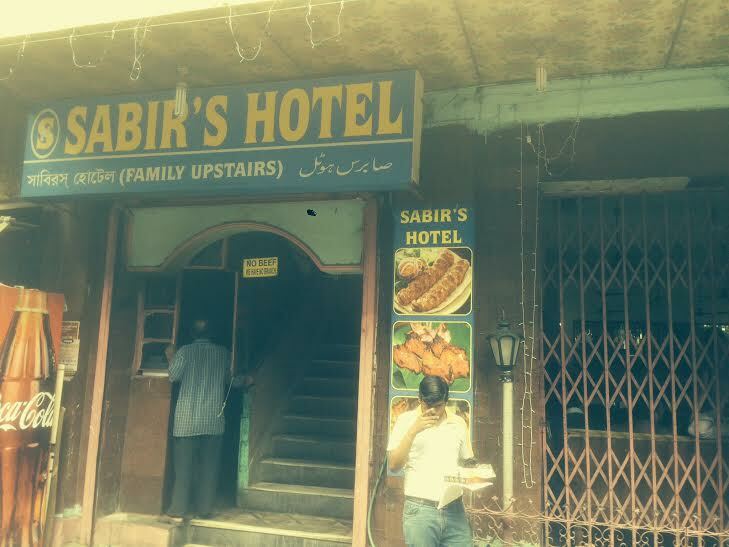 YUMMRAJ says for Sabir – OLD IS NO MORE GOLD’. 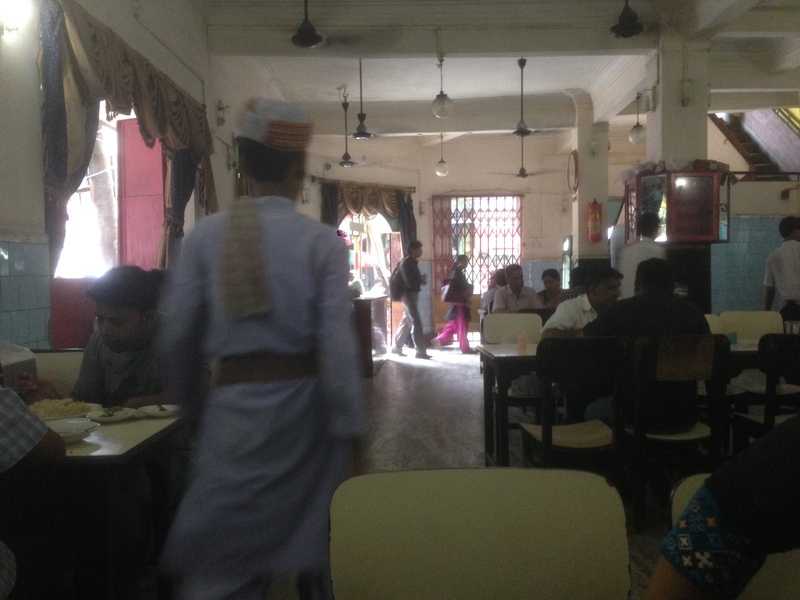 The restaurant is situated in a busy Old street in Chandni Chowk market. Very easy to find but quite a task to park the car unless u have a driver with u. The ground floor has a huge non A/C section and they have an A/C section as well. We chose the non A/C section as the temperature was good after rains. The general look & feel was clean but there was something dull about the whole look & feel. The waiting staff were mostly Old timers. They wore butler dresses from the days of the Raj. Most of them had a difficulty to smile. They had a transactional approach – pretty binary. 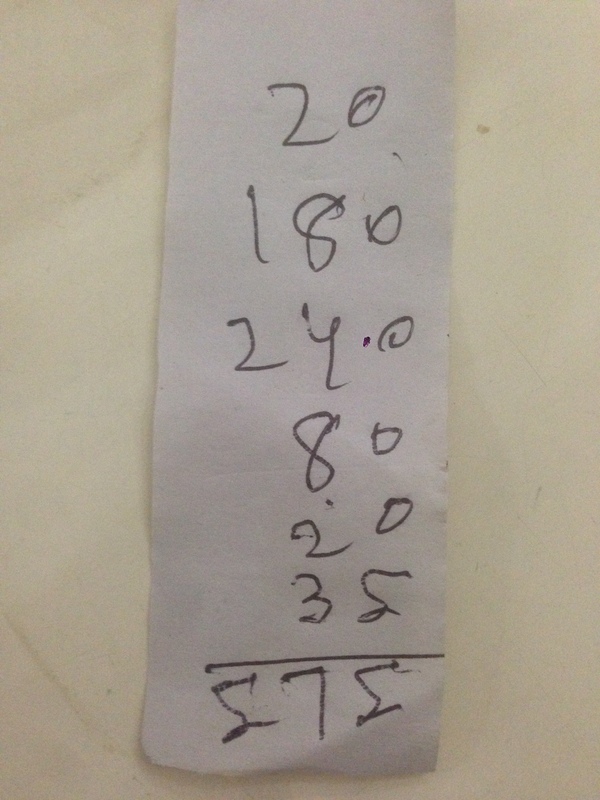 We were granted a smile as we paid a tip at the end & also on few occasions when we were ordering extra dishes one by one. 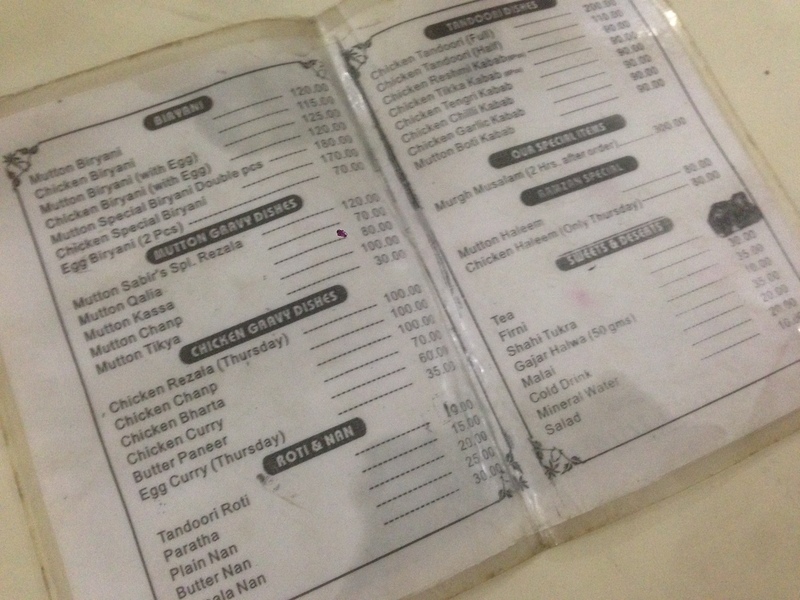 The menu card was tiny printed black & white printed paper that was laminated. Menu options were small & focussed. We had tremendous high hopes from the food. 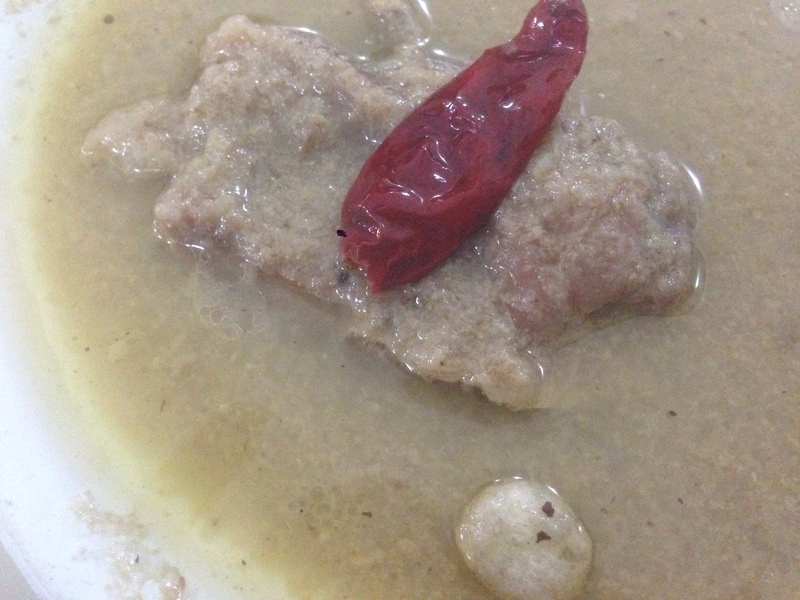 After eating we were looking at each other – Did we travel 15 km to eat this? 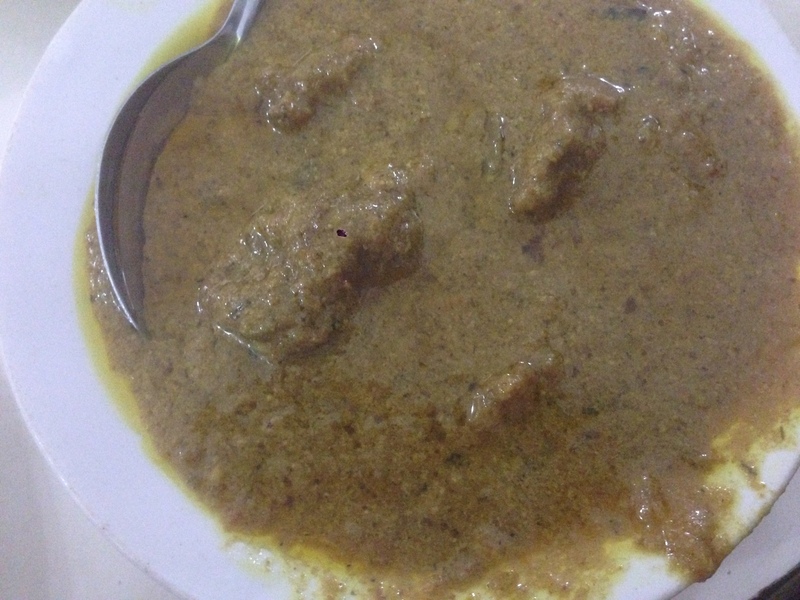 We then ordered what sabir was Known for in its heydays – Mutton rezala. 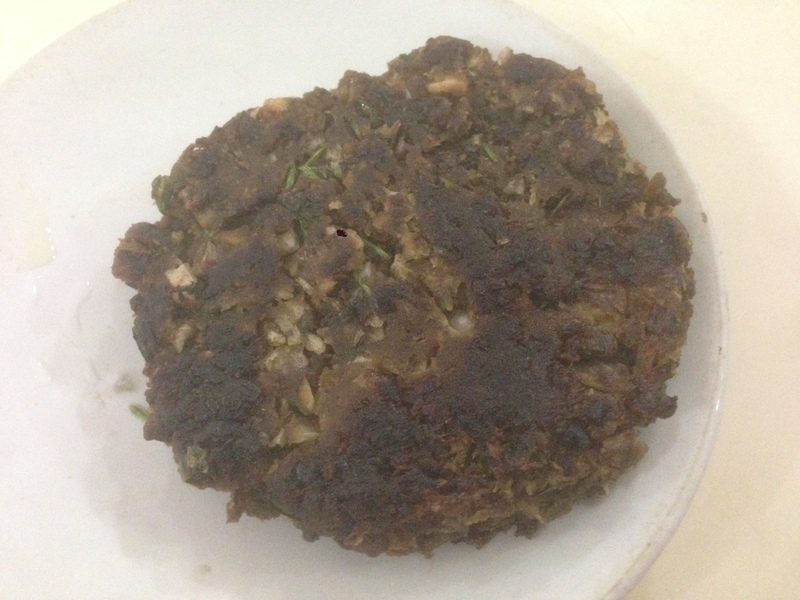 It is a mutton preparation that is quite unique to Kolkata & initiated by Sabir’s – Pale to look but impressive to taste. 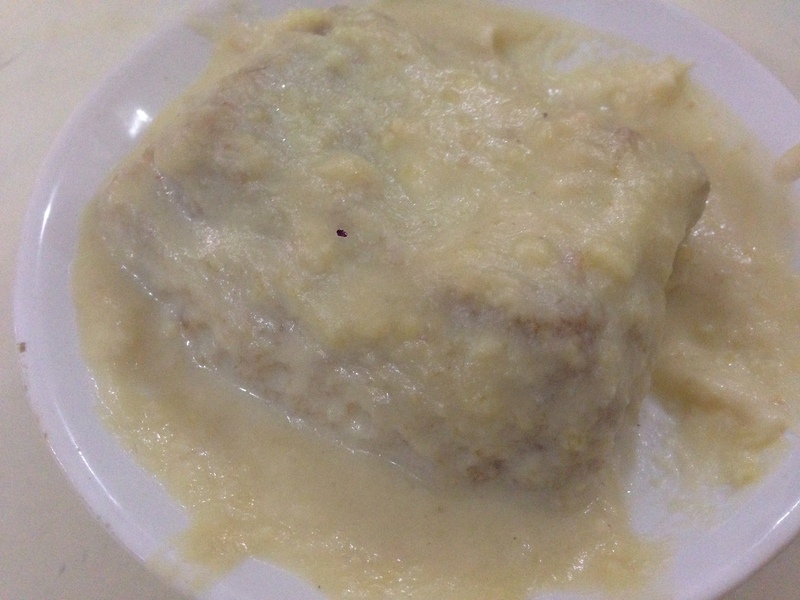 The Rezala thatwe were served had a thin, runny gravy deficient in the basic balance of taste. It had suboptimal salt, was a bit sweetish, there was a tinge of sour, not at all hot. 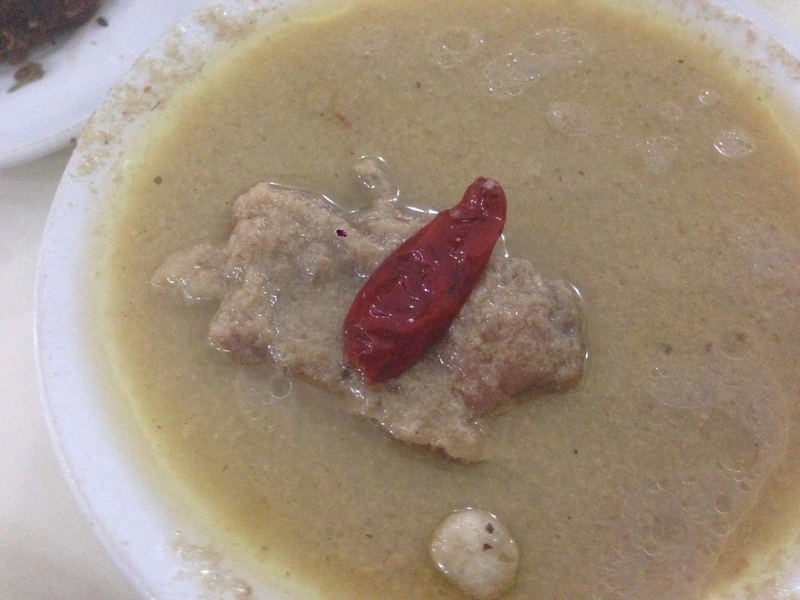 Posto (Khus khus/ poppy seed paste) made the runny gravy a bit grainy as well. We ordered a second plate in disbelief. Is this the same legendary stuff? Yes, even the second time was as average. I don’t know was it just a bad day for the Chef or the Old chef is gone & he did not share his secret recipes & his helpers have become cooks now or simply the owners have other businesses to run & lack of attention have ensured that they stooped down to this level. I dont know the reason. I am sure this dish in its current form cannot be so famous – It must have been a real gem at some time to reach this level of brand equity. Rate the rezala 2/5. 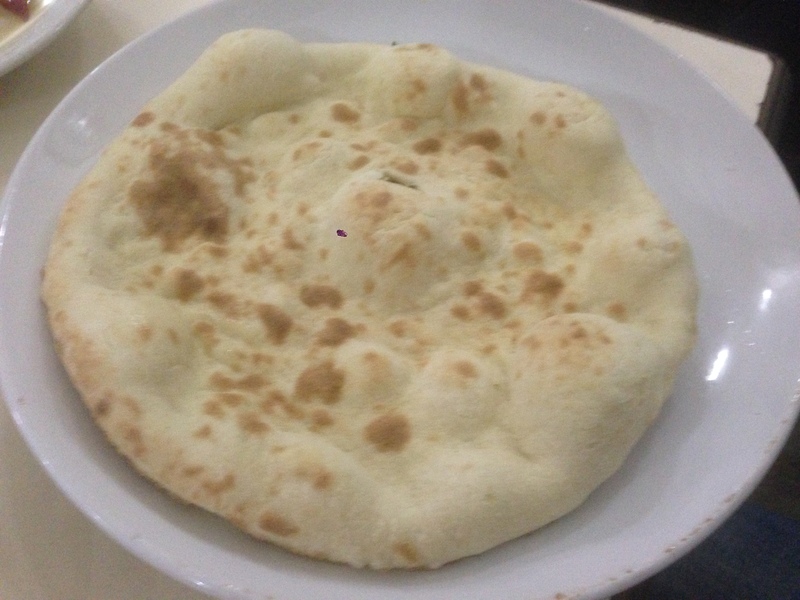 We had the rezala with Tandoori roti that was fluffy, crisp on the base side & nice. 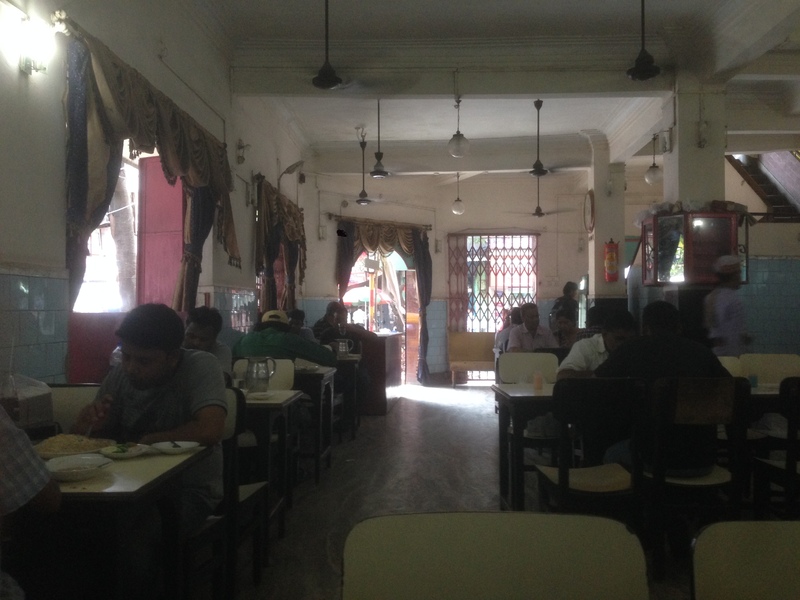 The fermented feel that one gets in the rotis served at Karim’s was missing here. Rate it 3/5. We moved on to Mutton kassa. This turned out to be much better than its predecessor. 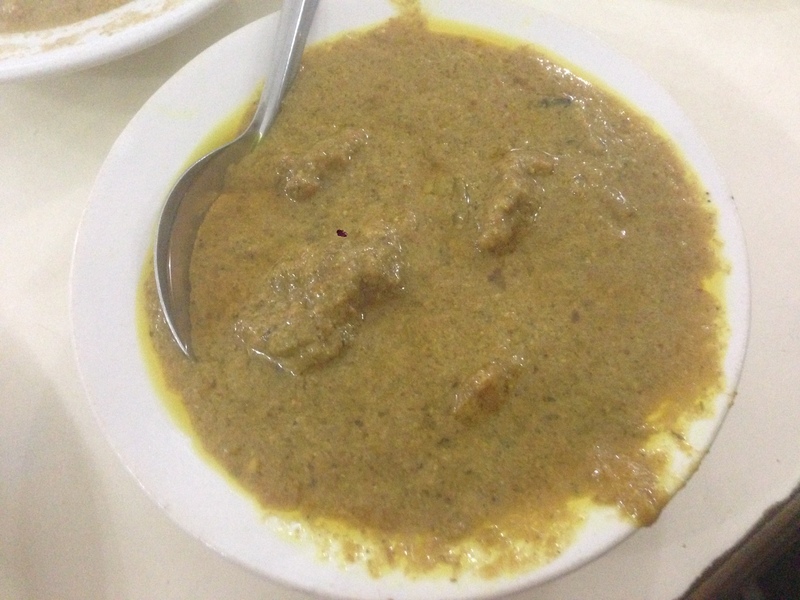 Its gravy had good flavors of spices & meat. The meats were not perfectly soft. They were a bit chewy. Rate it 3/5. 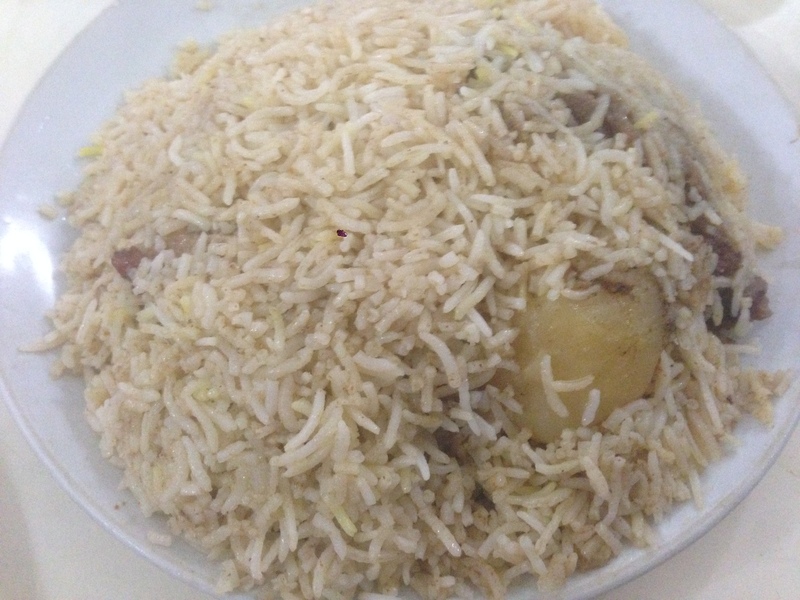 The aloo of the biryani was a cheaper version – sweet potato. Not so good. Rate it 2/5. 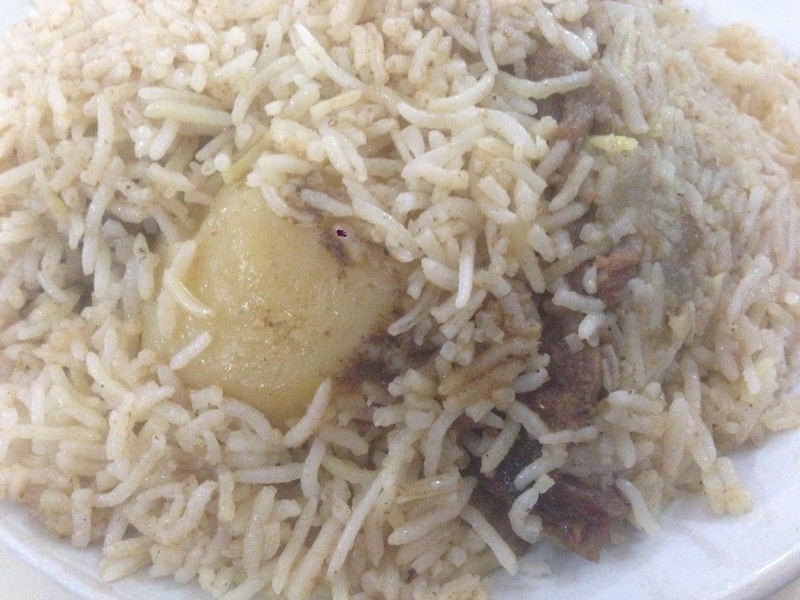 Overall rating of biryani averages out to 2.7/5. Royal, Arsalan & Khalique r way better. 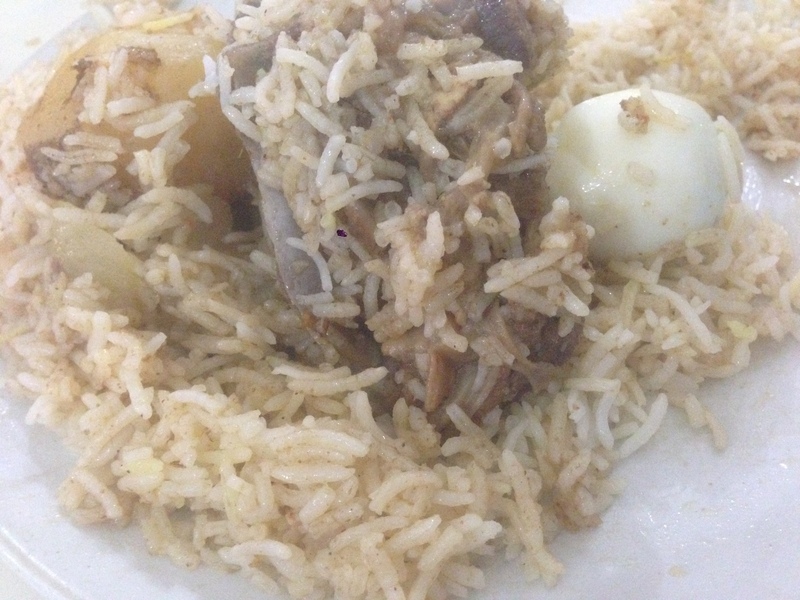 Overall rating of food at sabir’s averages out to 2.8/5. I wud surely not go there unless someone I trust tells me that things have been revived back here.